Cordis Solutions at SAP TechEd Barcelona 2015! 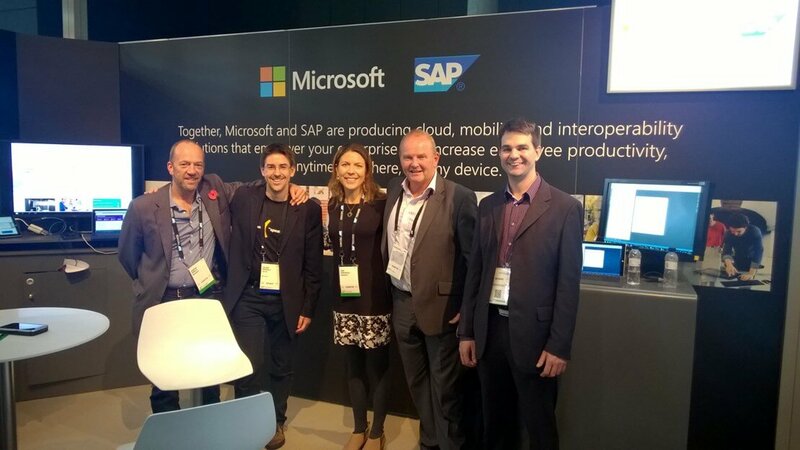 Cordis Solutions were invited to attend SAP TechEd Barcelona event to meet with the SAP Microsoft Alliance team to further our engagements on the SAP Gateway for Microsoft solution. Cordis Solutions are specialists in the GWM Technology platform and are providing expert advice, guidance and consultancy to SAP / Microsoft customers seeking to take advantage of this interoperability suite. Cordis Solutions are engaged with SAP and Microsoft team in a number of global customer engagements where we are providing specialist consultancy and eduction to allow customer teams to understand and deploy GWM within their business for accelerated returns on investment. In addition Cordis have a number of pre-built Applications available through the SAP Store and through the Microsoft Azure Marketplace and are in the process of deploying applications and GWM through the HANA Cloud Platform for SAP customers wishing to take advantage of GWM through HCP when this is available in the new year. Cordis have also prepared a number of bespoke training courses for customers wanting to learn more about the GWM product and to allow SAP customers to deploy solutions from their internal teams.